New York, 29 March 2017: The PwC network today announced plans to expand its current alliance with Microsoft globally. This will allow PwC firms across the globe to enhance their ability to support clients pursuing large scale digital and business transformation enabled by Microsoft technology. PwC will provide strategy through execution assistance to enable Digital, Business and Cloud transformation with Microsoft technologies to clients across the globe. This includes Microsoft Azure, Microsoft Dynamics 365, Microsoft Office 365 and Microsoft Power BI. PwC will also leverage Cortana Intelligence Suite as well as Azure IoT Suite and cybersecurity services. The expanded alliance will further enhance PwC’s ability to develop industry specific innovative solutions with Microsoft technologies. 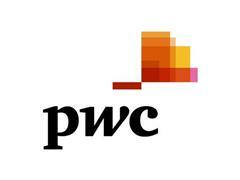 The expanded alliance will enable PwC to help clients harness the potential of digital transformation to deliver greater business value and impact. This expansion marks an important milestone, paving the way for continued collaboration on client opportunities and challenges globally.